The first Abba CDs ever produced were never designed for public consumption. Indeed, they predate the release of the first CDs to the general public. The story of Abba on CD began in the technical laboratories of PolyGram in West Germany. In the run-up to the official launch of the CD format in late 1982, PolyGram produced a number of different prototype discs of differing musical genres to test their manufacturing processes and eventually promote the new format among the press. The chosen pop CD prototype was The Visitors, seemingly chosen because it had been mostly digitally recorded and it was the then latest record by PolyGram’s best-selling European artist, Abba. In all, there were three different prototypes of The Visitors produced, each with different characteristics. Only one of these versions is known to be playable – the other two only appear to have been preserved encased in plastic in commemorative pieces presented to PolyGram staff to celebrate the launch of the new format. The Visitors (1982): Note the unusual format of the catalogue number. All three versions have identical disc faces, which feature a different textual layout to the publicly released version. The most notable of these is that the catalogue number is printed as 8000 112 on the prototypes but appears as 800 011-2 on the released version. 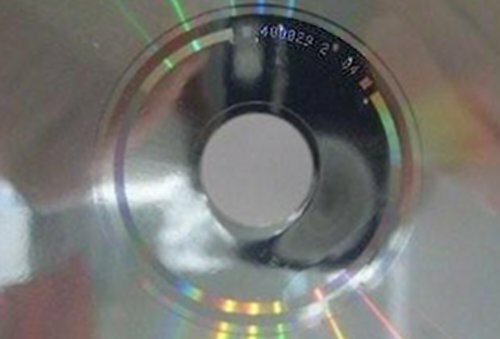 The grooves at the edge of the disc were a feature not seen again until enhanced CDs appeared. 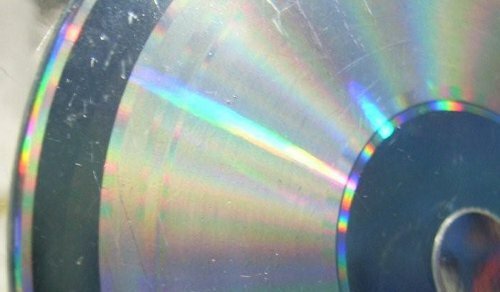 The first version can be identified from its data side, which features no matrix number etched on the inner hub and strange grooves throughout the disc unlike any subsequent CDs. It is highly unlikely to have been playable. The wrong matrix: did this prototype play Tchaikovsky or Abba? The second version may have been playable but it is doubtful whether it played The Visitors. The data side’s matrix number is 400 029-2, which corresponds with the early classical release, the Los Angeles Philharmonic Orchestra’s version of Tchaikovsky’s Symphonie Nr. 6. As a result, it seems likely that this ‘dummy’ version was produced for marketing purposes. 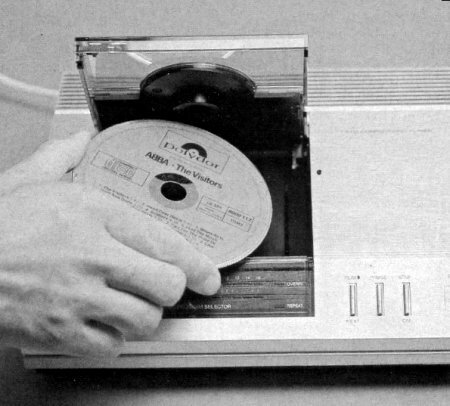 The final prototype was playable and reviewed by the press as this rare image from an unknown audio magazine shows. The third version was definitely playable and was sent out to the press with pre-production CD players for review purposes. Among these reviewers were Bjorn, Benny and Abba’s manager Stig Anderson, who were presented with copies (and a CD player) by PolyGram in August 1982.